Boom truck cranes are extremely versatile, and can be positioned in places where many other types of lift systems aren't possible. 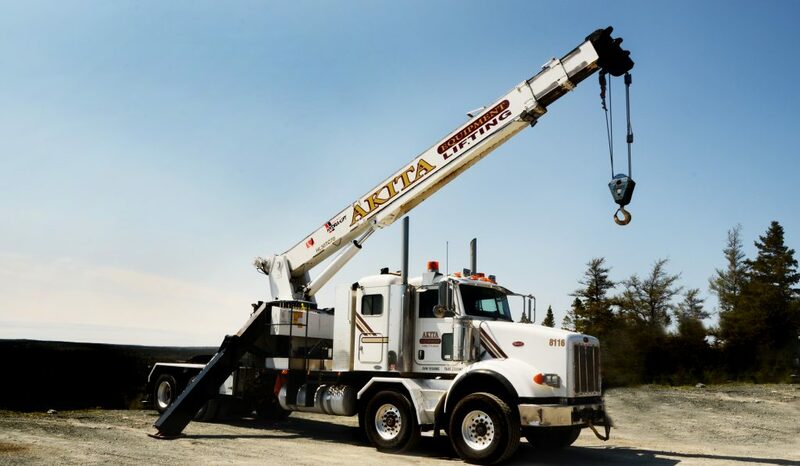 At Akita Equipment we have a 35 ton boom truck ready for loading freight, construction jobs and even relocating all sorts of heavy objects. If you are in need of a boom truck and are located in St. John's metro or even the surrounding area, give us a call. Our boom truck is ready and waiting for your call. Whether your job is small or you need a boom truck for a long-term project our boom truck is available for short-term and long-term rental. Give us a call today for a boom truck quote and to check availability.